SelectPdf HTML To PDF Online REST API is a professional solution that lets you create PDF from web pages and raw HTML code in your applications. The API is easy to use and the integration takes only a few lines of code. 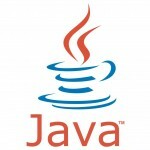 The following Java code samples use v2 of SelectPdf Online HTML to PDF REST API. It’s very easy to convert any URL or raw HTML string to PDF in Java using SelectPdf HTML To PDF API. This entry was posted in Html To Pdf REST API and tagged html to pdf as service, html to pdf for the cloud, html to pdf rest api, java samples, rest api, Sample Code on November 11, 2015 by selectpdf.